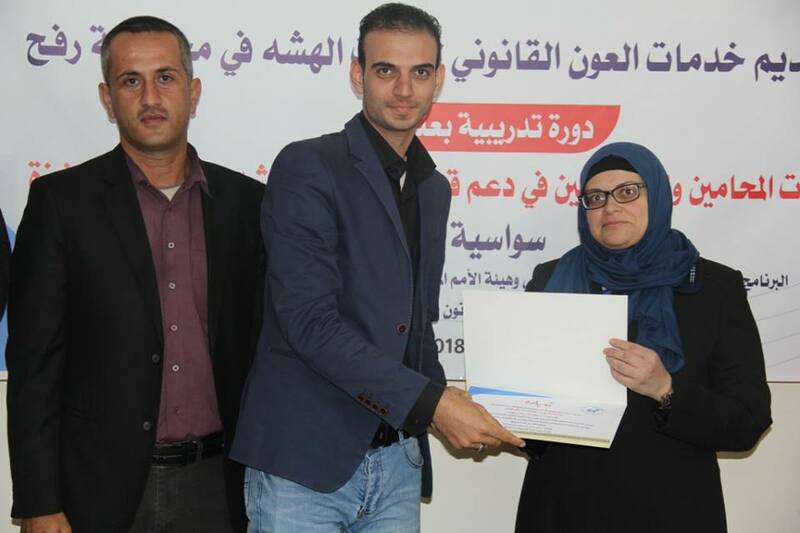 NSDL closed a training course entitled ” Improving the capacities of media and law graduates in supporting the vulnerable groups’ issues in the Southern Gaza Strip” within the activities and events of “Provision of legal aid services to vulnerable women in Rafah” project through UNDP/UN Women/ UNICEF joint programme Promoting the Rule of Law in the State of Palestine 2018-2023, SAWASYA II. 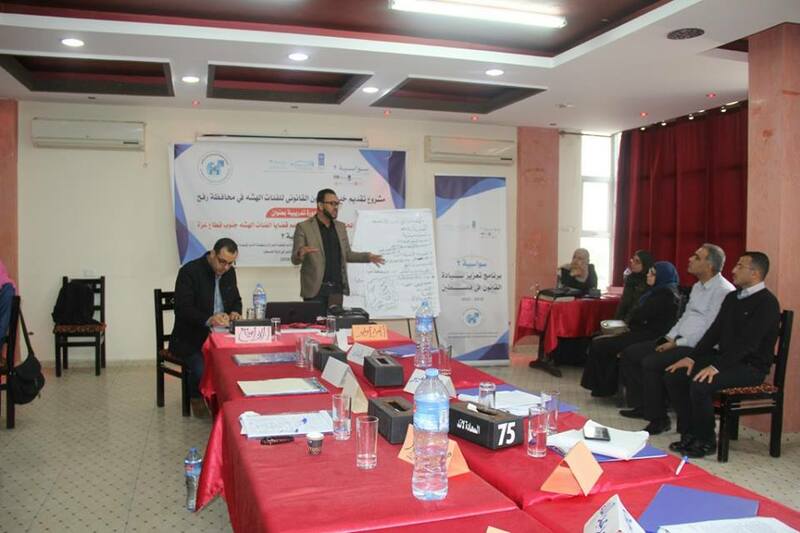 The representatives of SAWASYA II, members of NSDL board and the trainees participated in closing the training course. 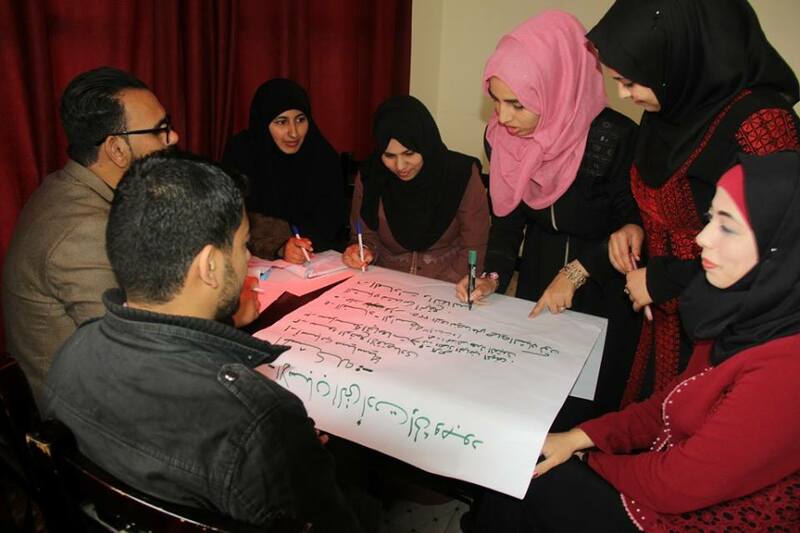 The 30-hour training course held at Happy land resort in Khan Younis continued for 6 days. 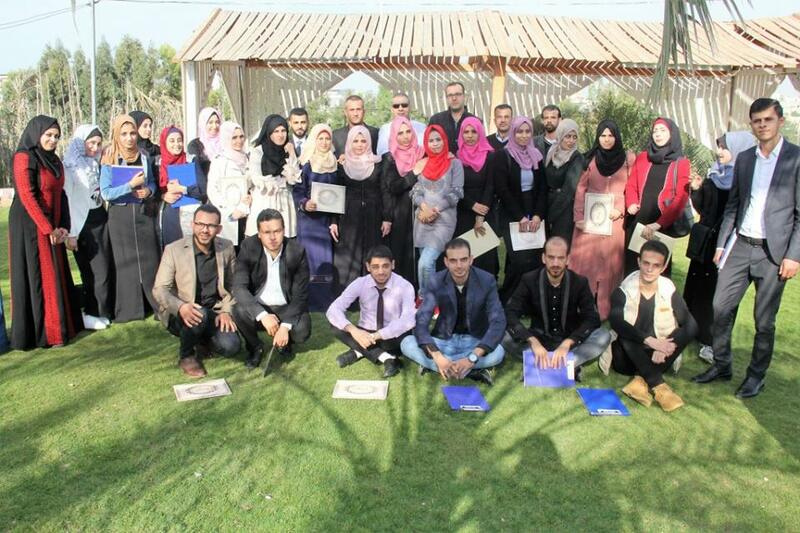 It is noteworthy to mention that 30 male and female law and media graduates participated in it. 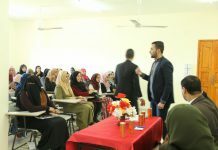 Lawyer Olfat El Bream, a board member, opened the training course welcoming the attendees and appreciating their interest in the training. 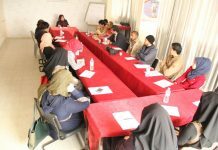 At first, Ms. El Bream talked about the organization and its objectives, and most importantly disseminating the culture of democracy and human rights. 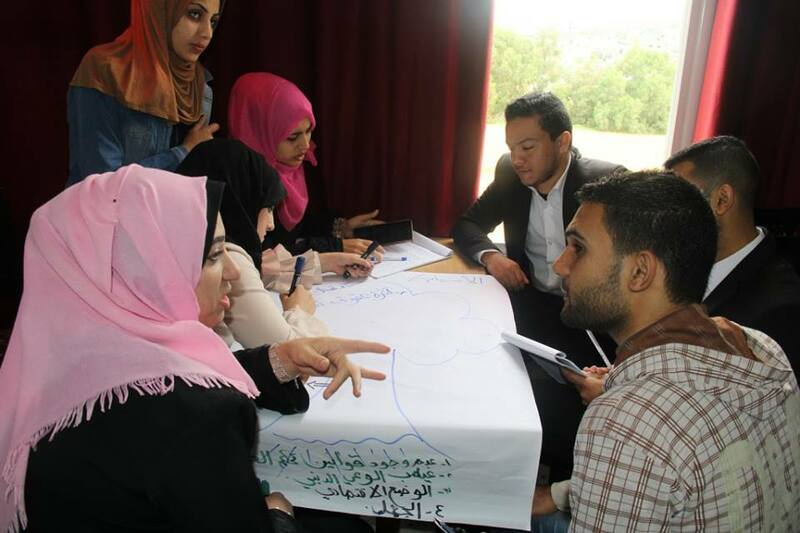 After that, Project coordinator, Mr. Hossam Jarghon talked about the project idea, activities and its objectives to be achieved. 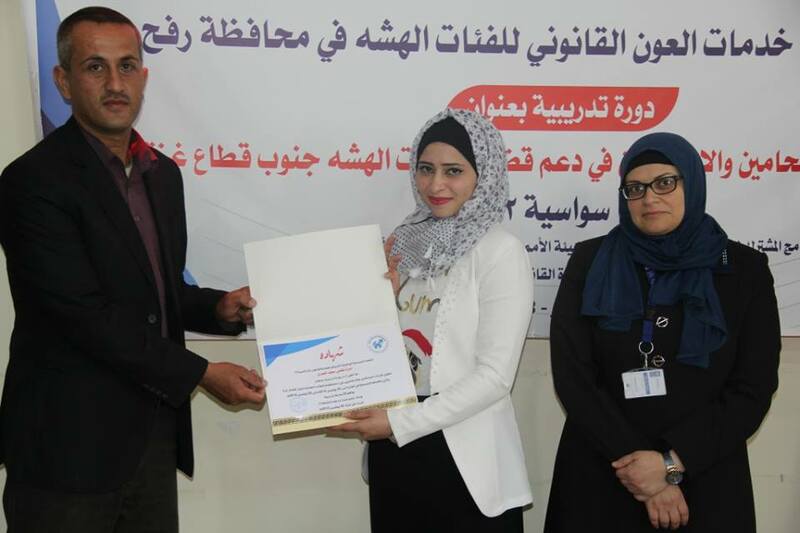 He mentioned that the project mainly focused on the vulnerable women living in the Southern Gaza Strip, particularly Rafah, by providing legal aid services to vulnerable women and developing the capacities of law and media graduates to defend the issues of such a group. 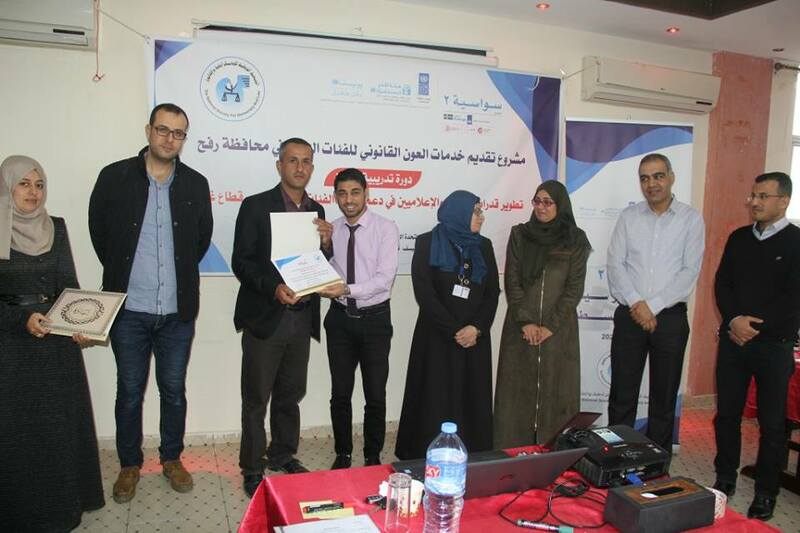 The training program included various law and media topics that would help to improve the capacities and skills of media and law graduates in defending the vulnerable groups’ issues. 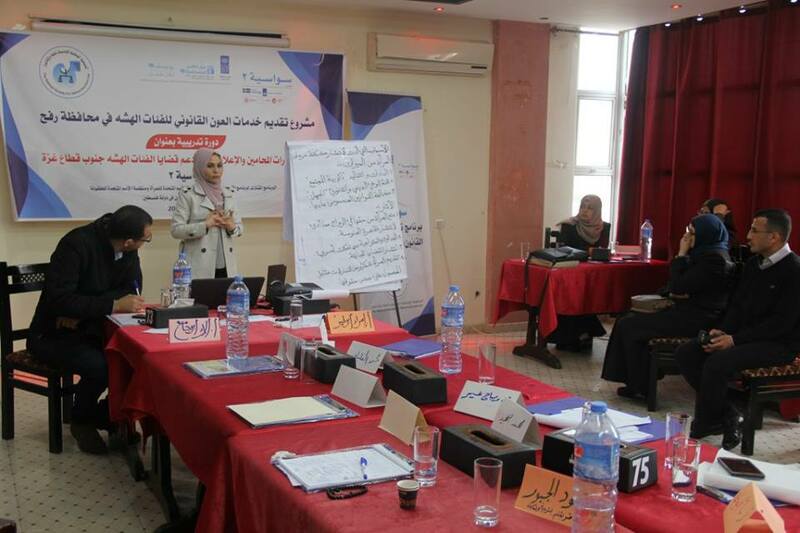 Among the topics discussed in the training course were “an introduction to women’s rights in the international human rights conventions, CEDAW (Committee on the Elimination of Discrimination against Women), the code of criminal procedure, personal status law, labour law and panel code, mechanisms of legal support for vulnerable women and media impact on supporting women’s rights as well as lobby and advocacy skills that would support women’s rights.” Throughout the training course, there were two practical activities; the first one was “The best use of social media sites to combat violence against women” and the second was “Designing a lobby and advocacy campaign to support women’s rights”. 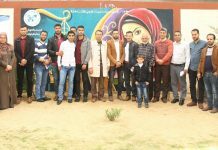 The training was supervised by a group of highly skilled and experienced trainers in the fields of law, media and advocacy. 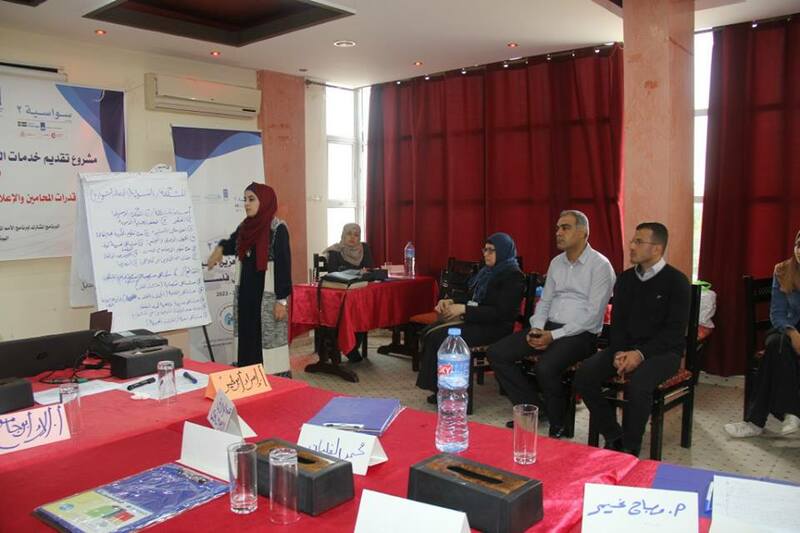 At the end of the training course, Ms. Heba Murtaga, civil society organizations coordinator in Sawasya II programme, talked about Sawasya II programme (2018-2023), its contributions at supporting vulnerable groups and improving the quality of the provided services to such groups. Mr. Mohammed Sabah, deputy-chairman, made a closing statement starting with a warm welcome to the trainers and trainees and deep thanks for their commitment in attending and participating in the training course. 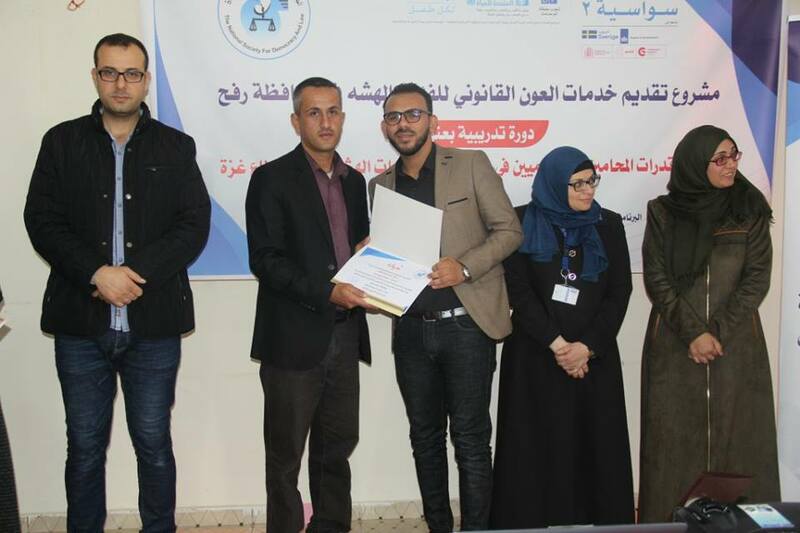 He emphasized the importance of organizing such courses in the Southern Gaza Strip that would improve the skills and capacities of fresh law and media graduates in defending the vulnerable groups’ issues. 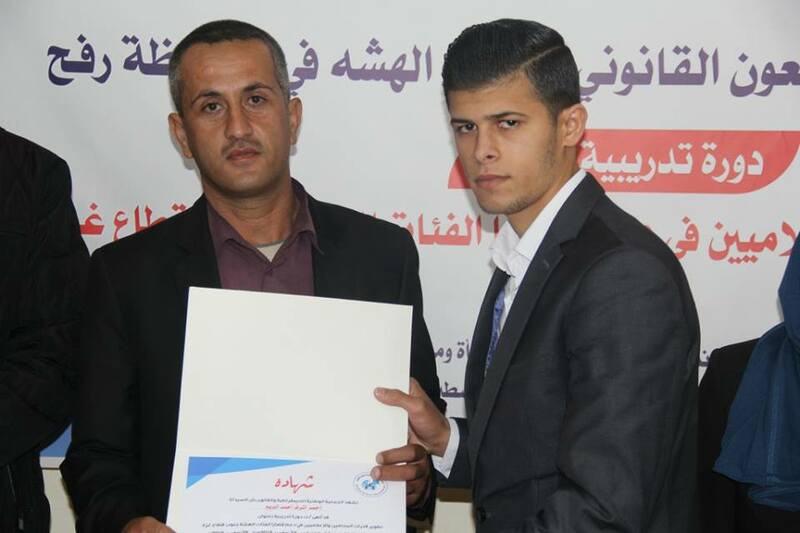 Moreover, he confirmed that NSDL would continue providing legal aid services and raising people’s legal awareness as much as possible in order to build a society where human rights and freedoms are respected. 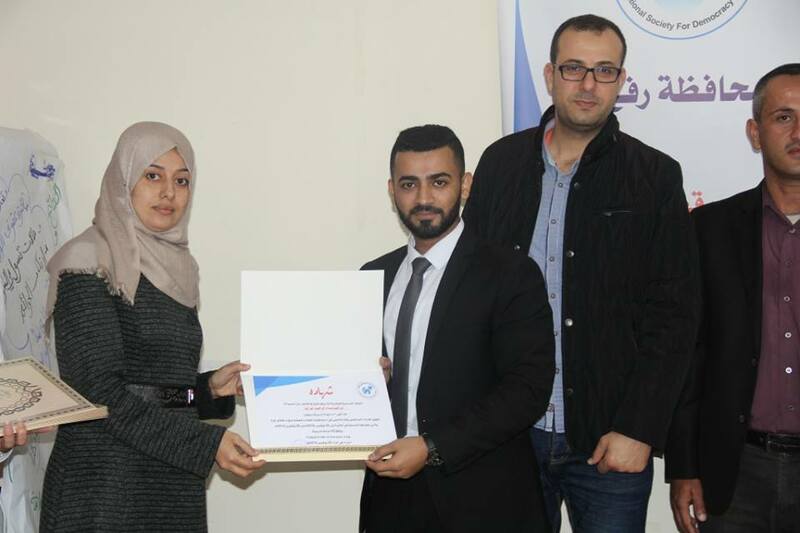 At the end of the training day, the trainees were awarded certificates in the presence of Ms. Heba Murtaga, civil society organizations coordinator, Mr. Mohammed Sabah, deputy-chairman and Mr. Mohammed Aljamal, NSDL secretary. 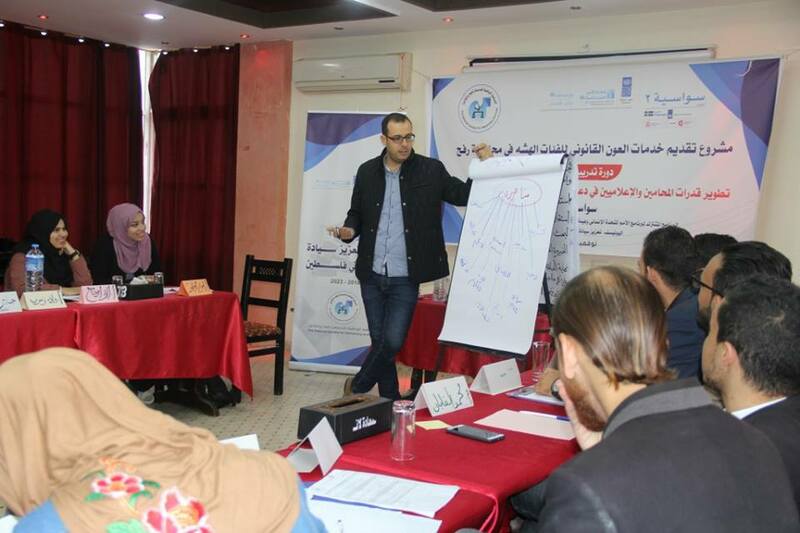 Mr. Sabah stressed the important role of training programs to develop the participants’ skills so that they could shed the light on the vulnerable groups, get them know their rights and teach them how to defend them. 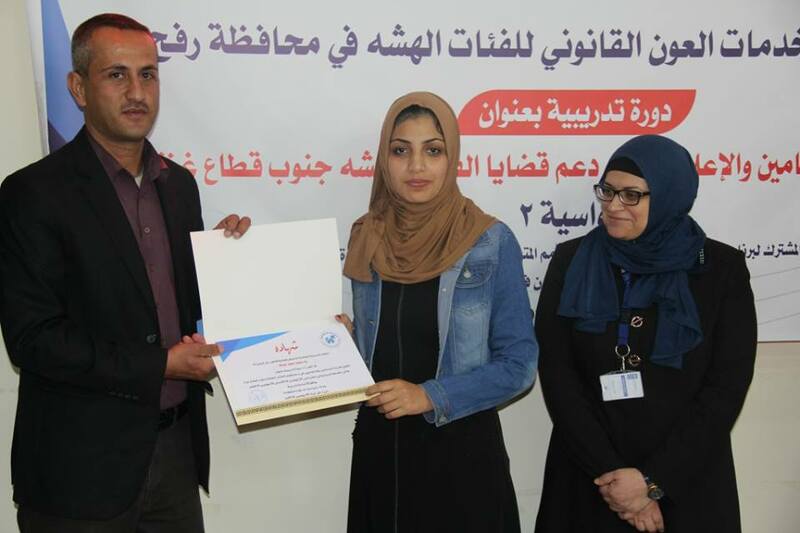 The trainees expressed their satisfaction with their participation in the training course and confirmed that it added much knowledge and experience in the fields of law and media to them. 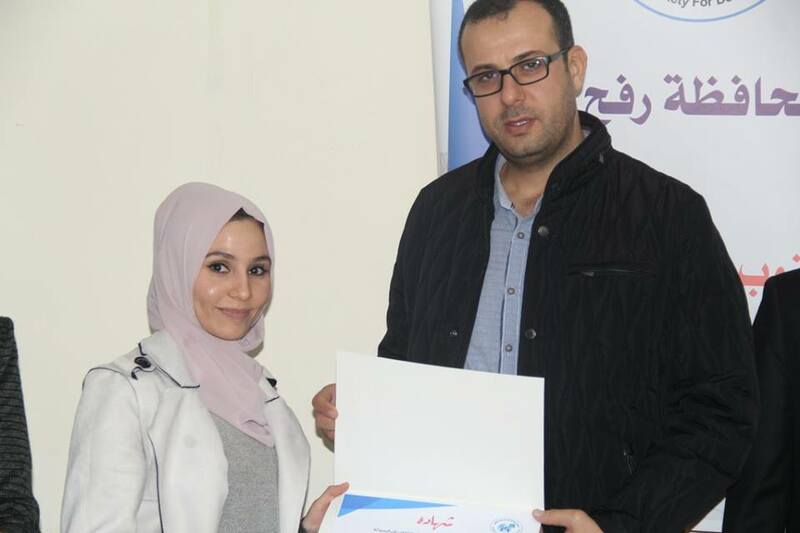 Lawyer Ruba Abu Taha, a trainee in the training course, emphasized that she gained much information about the topics discussed in the course, and that such topics contributed at developing her skills, helped her to know much about women’s right laws and conventions and get her know how to help vulnerable groups access legal support. 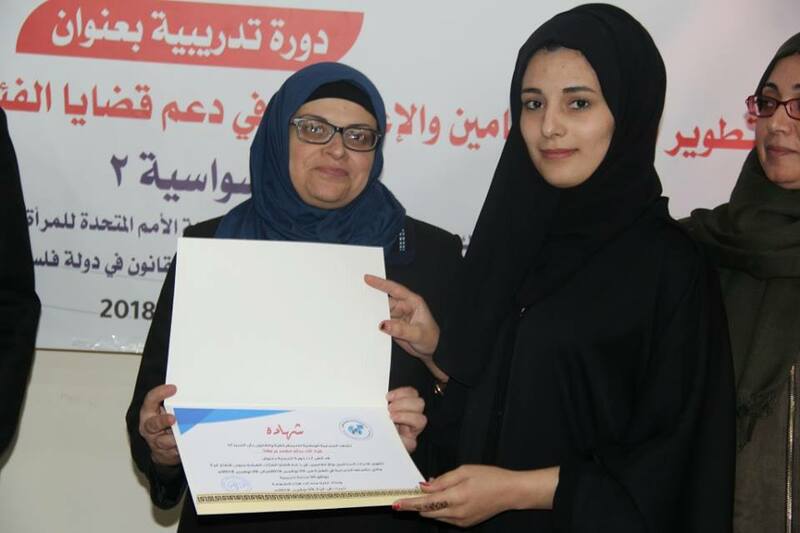 In addition, Ameera Almasri, another trainee and a media graduate, praised the course and confirmed that it did enhanced their knowledge on new legal topics. 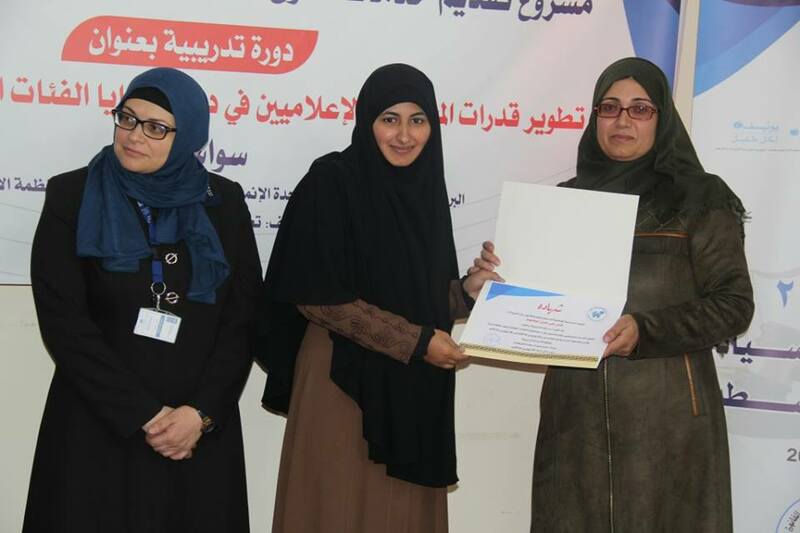 She thanked the training providers, including NSDL, calling for more similar training courses. It is noteworthy to mention that this course is coming under a series of legal courses conducted by NSDL that aim to connect law with media by mainstreaming categories of beneficiaries of both majors (law and media) and select the most suitable topics for them. 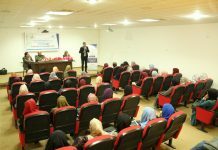 Next articleThe National Society for Democracy and Law (NSDL) conducted a series of legal awareness workshops.